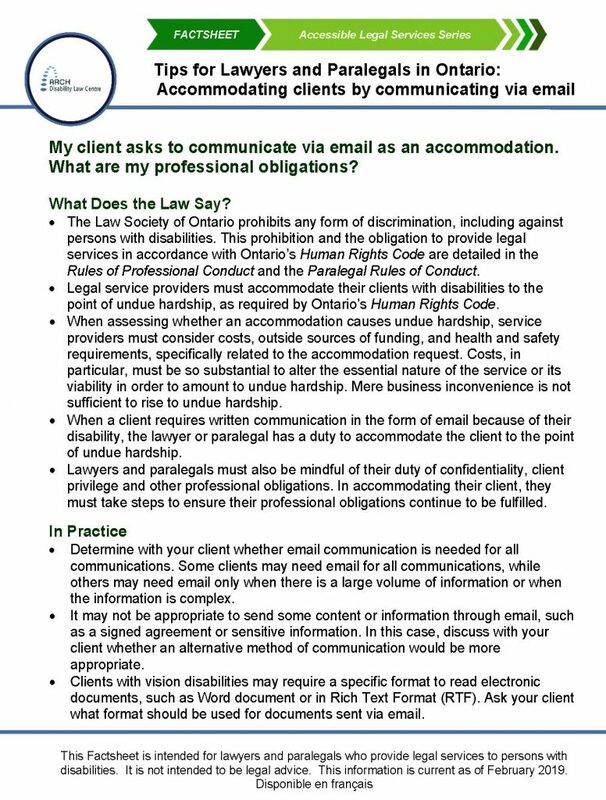 ARCH provides a free Case Consult service for Lawyers and Paralegals across Ontario. 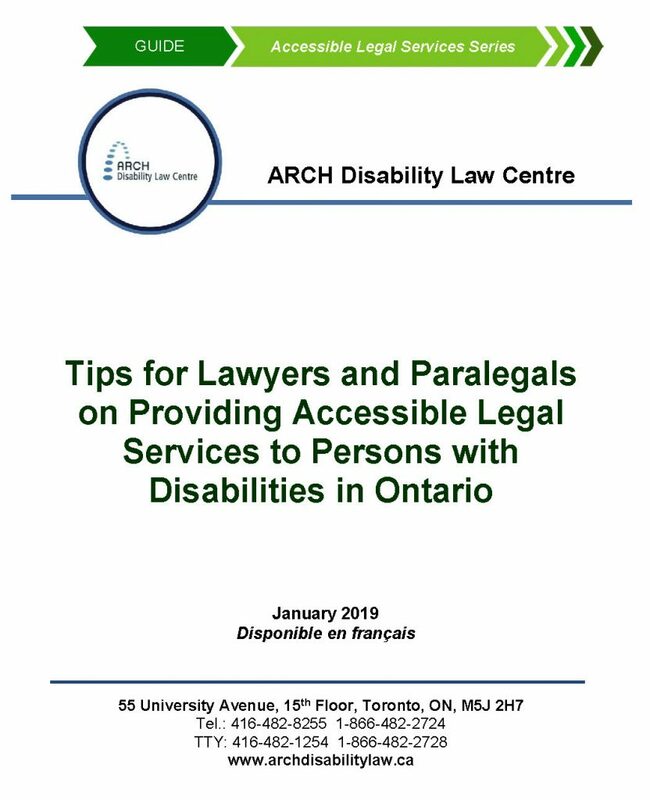 Lawyers or paralegals representing persons with disabilities may contact ARCH to discuss the disability related issues that arise in their cases. Contact ARCH to schedule a telephone appointment to speak with an ARCH staff lawyer. 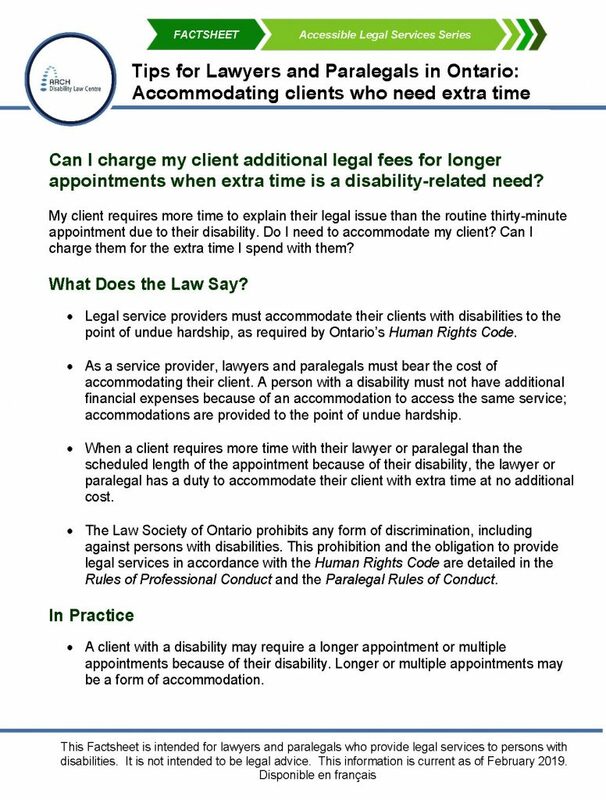 If you require disability related accommodations to access this service, please contact us and we will provide appropriate disability related accommodations. Visit our Fact Sheets for information. ARCH provides continuing legal education to lawyers and paralegals in the form of seminars, panels, webinars and publications. In partnership with the Law Society of Ontario, ARCH hosts an annual event featuring a panel discussion on access, equity and disability law issues. Visit our Resources page to view our recent and past continuing legal education publications. ARCH maintains a private bar referral list and makes referrals to lawyers in many areas of law. If you are interested in participating in our Private Bar Referral Program, visit Join Our Private Bar Referral page. The Association of Human Rights Lawyers (AHRL) is an Ontario network of lawyers, law students and legal workers who practice or are otherwise engaged in human rights law. Our members primarily represent Applicants and Plaintiffs whose human rights have been breached before the courts, the Human Rights Tribunal of Ontario, and the Canadian Human Rights Commission and Tribunal. AHRL monitors human rights legal developments in Ontario, nationally and internationally; coordinates law reform efforts; and provides case consultation and professional development opportunities for its members. 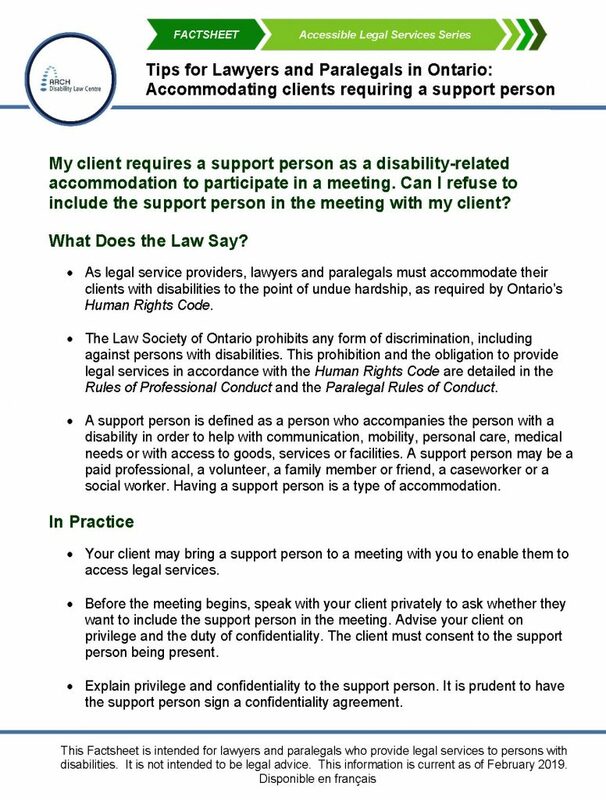 ARCH Disability Law Centre coordinates and hosts monthly meetings of AHRL members.